Merchant services are made to make your life easier and your customers happier. If you’re a small business or a new business, then it can be difficult knowing what the best merchant services for your business are. In addition, as a small business, you don’t have the means to purchase every service you want to. The same can be said for startups. You don’t have the resources, so what you purchase for your services needs to help propel you forward in the business world. Merchant services are geared to help any type of business; however, if you’re still gaining your footing, then you probably don’t know what you need to ensure your business succeeds. Depending on the type of business you have, you’ll need different resources to ensure your business expands and excels. For instance, if you’re a brick and mortar restaurant, then you’ll need retail/restaurant services. If you’re an online store, then you’ll need ecommerce services. 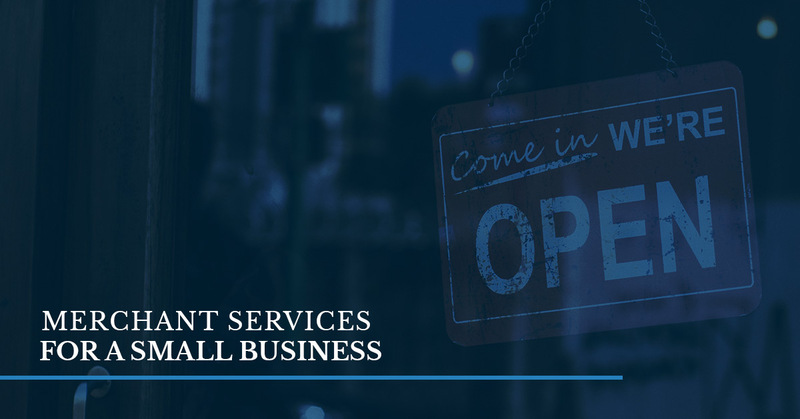 In today’s blog, we’ll be going over the services you need as a small or startup business. These services are essential and what you need to really pick your business off the ground. These three services will help your small business to grow and make your dreams a reality. To create an advantage for you, these four services can all be found at Journey Business Solutions. Our vision at Journey Business Solutions is to offer merchant and payroll services that are essential for your business to help you complete tasks in your business easier. Each of these services is geared to make your business run smoother and make your customers satisfied. The first service you can take advantage of with Journey Business Solutions for your business is credit card acceptance. If you’re an avid reader of our blogs, then you’ll notice this theme of accepting credit cards. This service is vital because credit cards are the number one way people are paying for items. Having credit card acceptance means a few things. First, you’re able to increase your sales because people are coming to your business to purchase products since you offer this option. If you don’t take debit or credit cards and someone picks out several items they want, but they only have cards, then you’re losing out on a sale. Also, offering a credit card option shows your customers that your business is doing everything they can to make them happy. Second, people spend more money with credit cards. Of course, this is indirectly, but credit cards to many don’t seem like actual money. You slide your credit or debit card, you never actually know what’s in your account, how much you’re spending, or your pocket doesn’t feel lighter from the amount of money you spend. People don’t generally realize how much they are spending when they use debit and credit cards. Take a second to consider your own spending habits and how you generally don’t pay attention to the total because it’s all going on the card. Thirdly, credit card acceptance shows that you’re a legitimate business and people can trust coming to it to purchase items. Legitimate businesses generally have credit cards because a business has to go through many hoops to acquire those services. No matter what your business sells, your clientele will be encouraged to come back because you’re a trustworthy business that has their interests in mind. If you have people working at your small business, then you have a new and better way to pay them. One of the services we offer is payroll services. Our payroll services are made easy because we have all-in-in-one support products. Merchant and payroll services are supposed to make your life easier. We do this by combining elements that make your workplace comfortable and put them all in one place. For instance, when it comes to retiring, our 401(k) Retirement products make exiting the workforce easy. We also do payroll and save you time by automating the taxes, worker’s comp, and the W-2’s for the end of the year. We also can help your employees enroll in easily affordable plans with the advice from experts. Lastly, we make the HR department’s life much simpler by giving you the ability to access the files of employees and other information all in one place. Our payroll services are made easy to take care of your business. Lastly, we offer loans and lines of credit. We want you to succeed in your ultimate goal of helping your business be long term. These services help you work with a reliable partner when it comes to growing your business and ensuring it succeeds. Money is the biggest part of a business. You need it to run the business, to ensure it stays afloat, and to bring in revenue for it to succeed. We are committed to ensuring you have the necessary funds quicker than banks. We know you want to capitalize on your goal of having the business you’ve always dreamed, so we’re able to offer you success without having to put collateral on the line. We can help even if you have less than perfect credit, if you need some flexibility, or if you need approvals granted quickly. We also offer services such as referrals for programs we don’t offer such as website design and marketing. At Journey Business Solutions, we want to help your business grow and that means providing services that are geared to help you at an affordable rate. What sets us apart from those other merchant services is that we know what it’s like to be a small business or a startup business because we are you. We’re a small business that wants to help other small businesses be the best they can be in their industry. We were a startup business that struggled through those initial first years to get to where we are. As a company that’s familiar with your situation, we’ve strived to provide these services for a low cost. We’re not interested in draining your budget dry, we’re dedicated to ensuring it grows, your customers are happy, and you have easy-to-use services. If you’re interested in finding out more about our services, then take the time to contact us. We have three locations, one in Dallas, Fort Worth, and RGV.